Artificial landscape rocks come with all sorts of great advantages. You may be wondering which is better between real rocks and artificial rocks. We’re going to compare them and let you decide. Artificial rocks: They’re hollow underneath, so you can place them on top of unsightly things in your yard to cover those bad boys up! Have a tree stump, bare spot, or wellhead? No problem, just place one of our extra large rocks or ground cover rocks on top of it and forget about it! 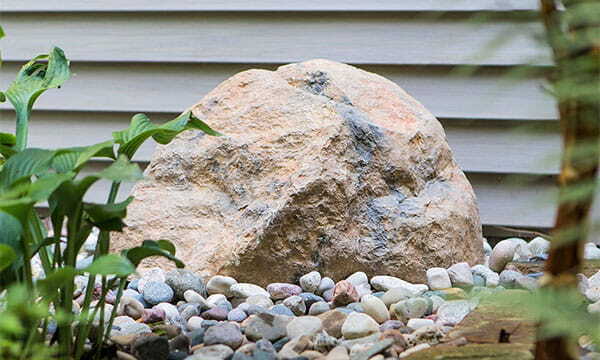 Real rocks: They are NOT hollow, so you can’t use them to cover up anything in your yard. Lame. 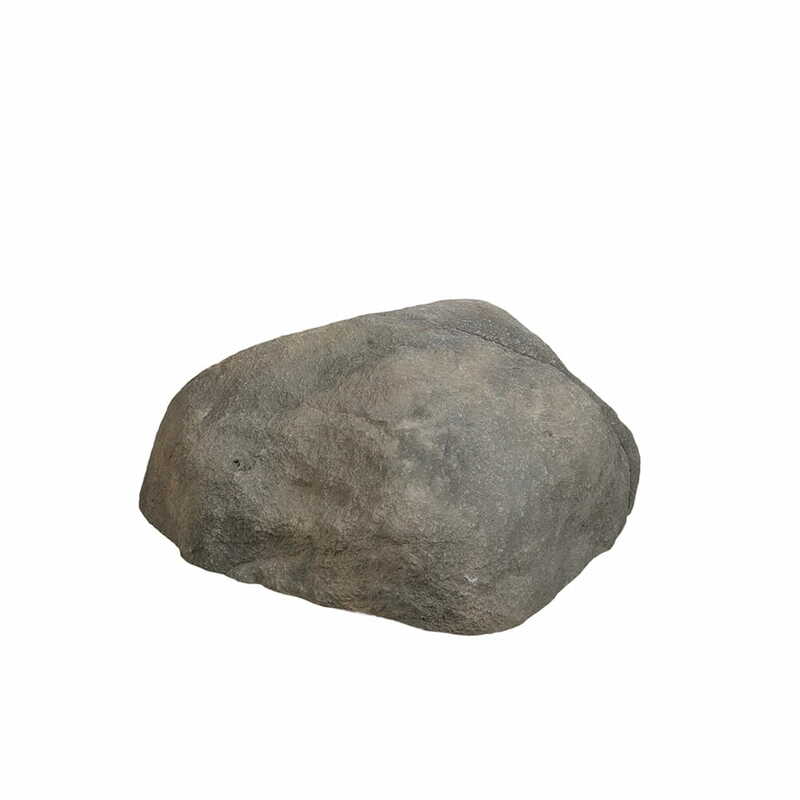 Artificial rocks: They stay in place without stakes or other tools. Really. All you have to do is place them where you want them…. that’s it! High five for things that make our lives easier! Real rocks: They do in fact stay in place without stakes. But, they are much harder to put into said place. Those babies are HEAVYYYYY. 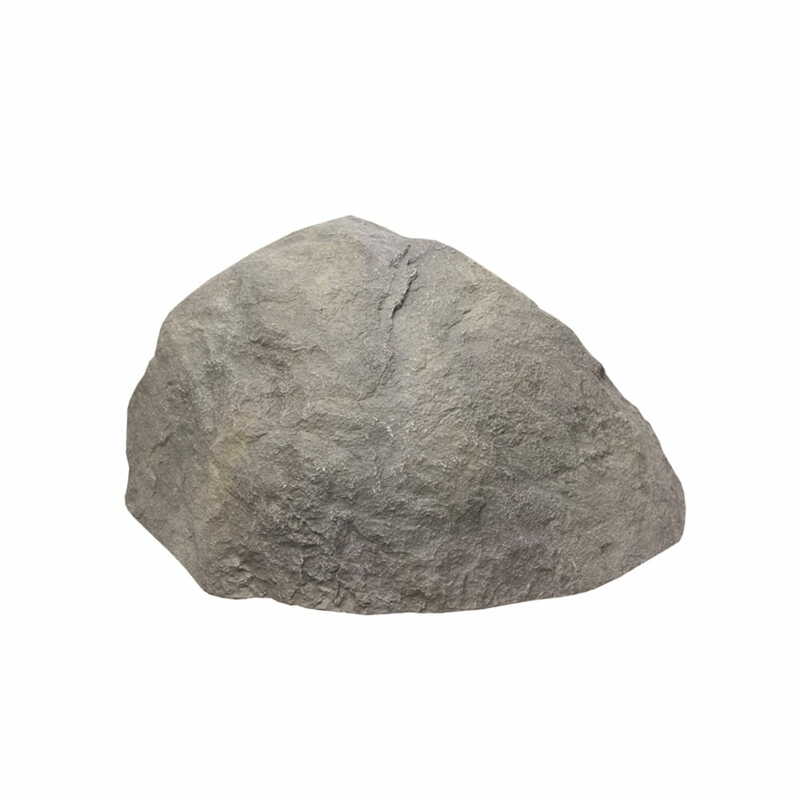 Artificial rocks: They come in all sizes, from large rocks to tiny key rocks, so no more worrying about getting locked out of your house. The best thing about this is that no one will even know there is a key under there. It will just look like any other rock in your garden. Real rocks: You can hide a key under those… actually, it wouldn’t do much hiding, just smoosh the key into the ground. Artificial rocks: You can drill holes in them to run wires or hoses through. They’re made from a durable fiberglass composite, but you can drill holes without breaking or cracking the material. Easy peasy with a power drill and standard drill bits. Real rocks: Don’t even think about trying to drill holes through real rocks… you won’t get very far. Artificial rocks: You can SIT on these rocks! Especially the large rock, perfect to take a seat on when you are busy tending to your yard and just need a quick break. They are durable and strong, so no need to worry about cracking or breaking them. Real rocks: Sure you can sit on them. But they might be uneven, have sharp points on the top, be dirty or be super cold. Artificial rocks: They are lightweight as heck, and super easy to move. 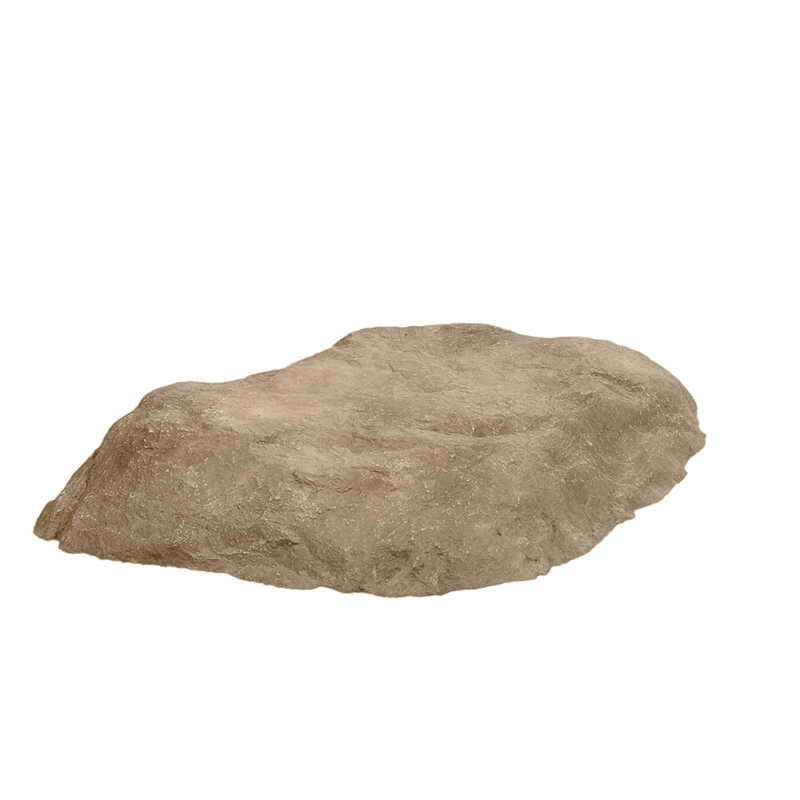 People will think you have been hitting the gym when you place your new landscape rock into your yard or garden. You can easily move all our rocks without any equipment besides your own strength (whether that is a lot or a little). Since they are so lightweight, you can move them to different places in your yard whenever you wish to do so. Real rocks: Yeah you’re gonna need a truck, several strong friends and possibly a forklift to move real rocks. And once you choose where you want them, good luck moving them without a TON of help. Keep it simple guys and just buy our fake landscape rocks! They are a true no-brainer. 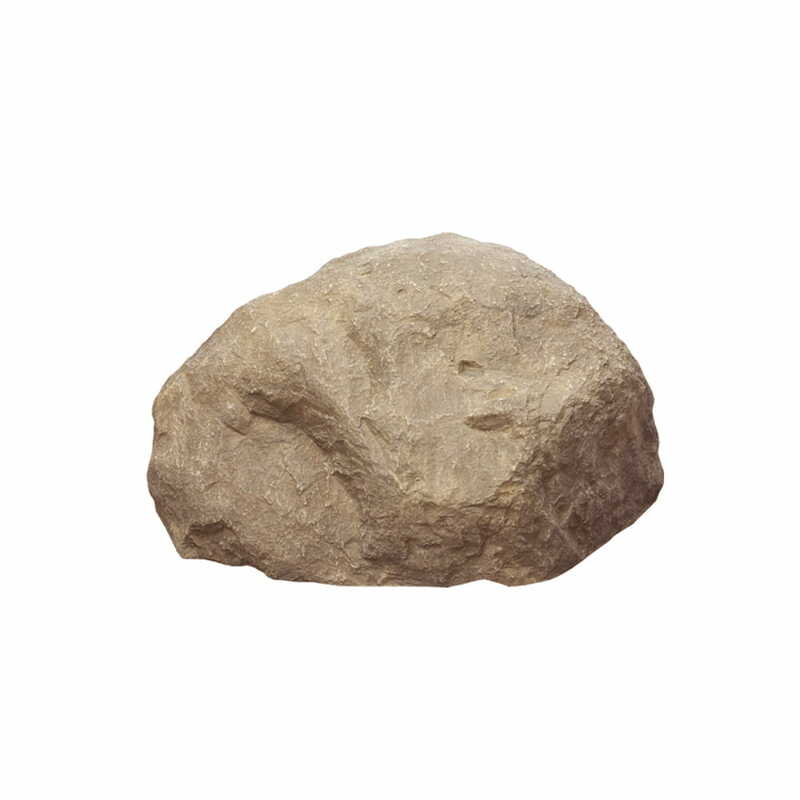 Rock your yard with our Outdoor Essentials® Artificial Landscape Rocks. You can see our vast selection here! Want to get a better idea of the size of the rocks? Check out this Outdoor Essential's blog.